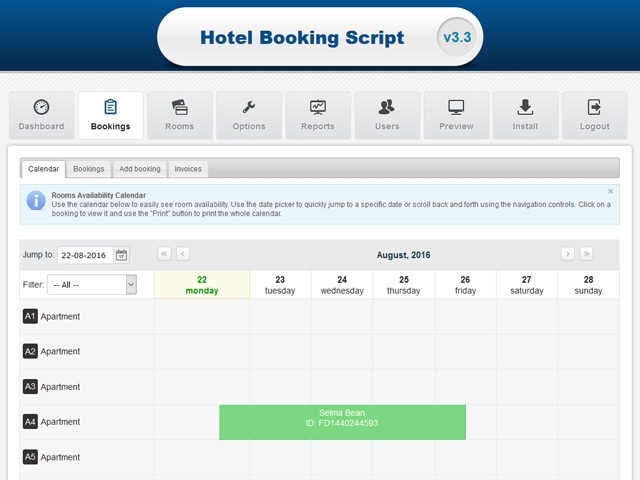 Installing our PHP-based Hotel Booking System on your website will enable you to add and customize hotel rooms, manage bookings, collect customer details, and process payments online. Your visitors (guests), on the other hand, will be able to book and pay their preferred premises on the go through an easy, step-by-step booking process. 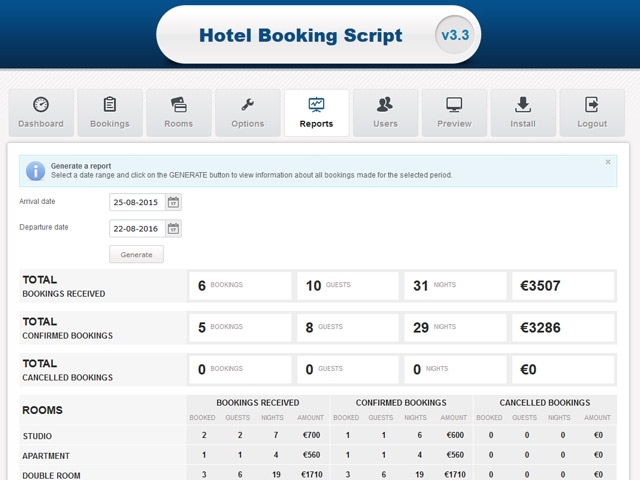 The hotel reservation script comes with 10 predefined color themes so that the front-end user interface can blend smoothly with your website branding. 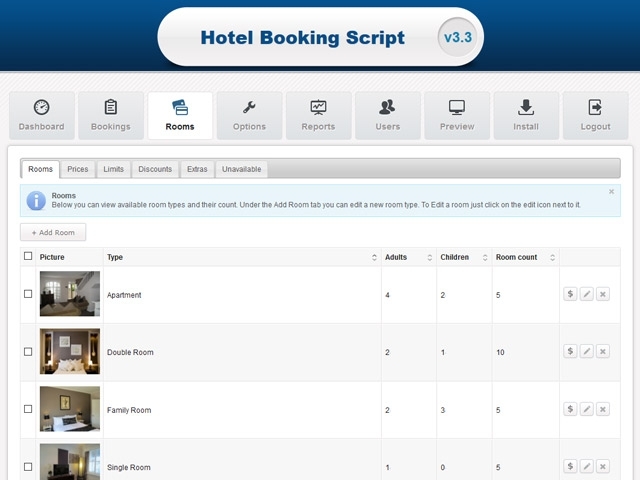 Users can add various room types, detailed descriptions, and create impressive image galleries. Each room has separate pricing and availability settings. You can also offer various on-demand extras such as parking spaces, extra beds, SPA procedures, etc. 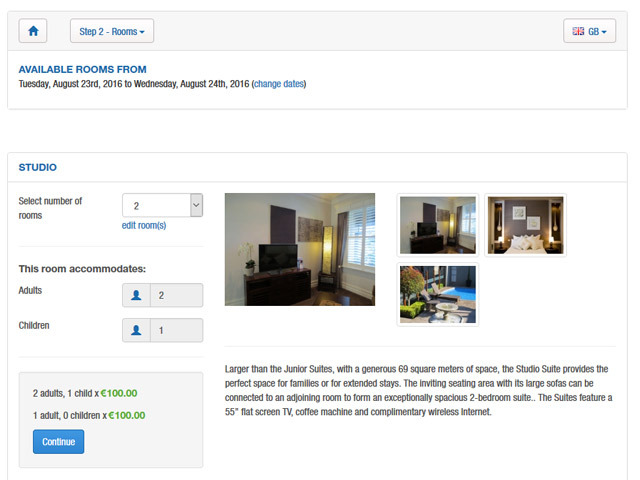 Define prices depending on the number of people sharing a room, or set a default price per night / per room. You can also add different rates for each day of the week, as well as seasonal rates. 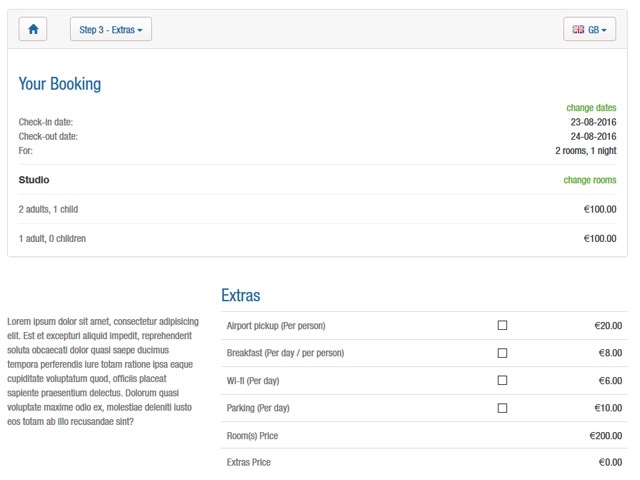 The built-in voucher system allows you to manage various promotions and discounts. Admins can launch fixed or % discounts for different periods of time, add holiday packages or free nights. 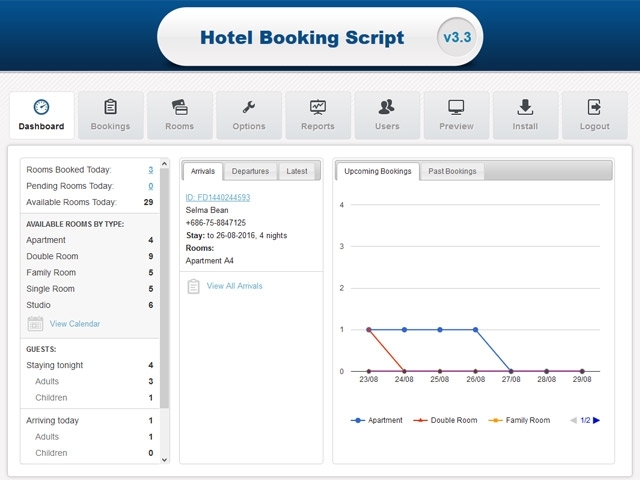 The hotel booking script will enable you to manage room bookings, add bookings manually, and export them into a CSV file for easy processing. 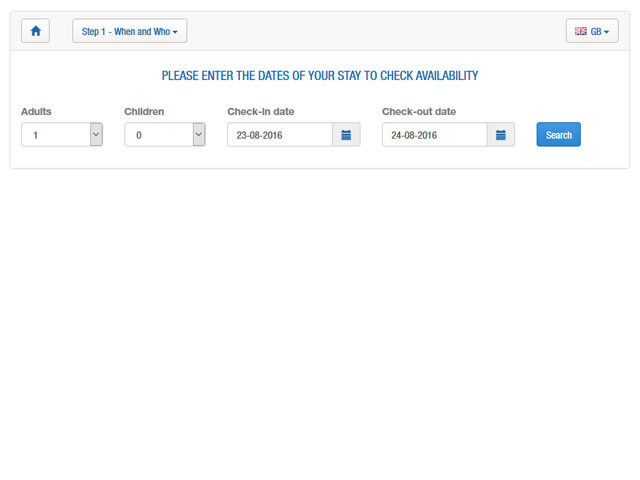 You can customize the booking form to collect specific customer details, set maximum and minimum booking limits for each room and time range. 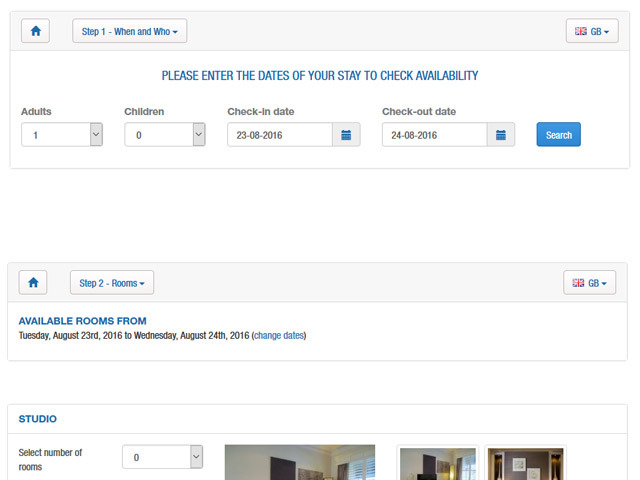 Our room booking system is fitted with an automated invoicing tool allowing you to generate invoices for confirmed reservations. 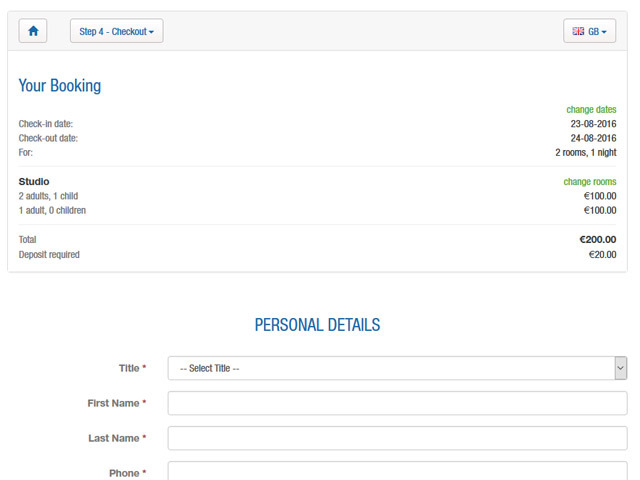 Users with administrator's access can configure and customize invoices with the company brand elements. PayPal and Authorize.NET are integrated with the Hotel Booking System by default to facilitate deposit and final payments. You can also request other payments gateways, and enable various offline payments - CC, wire transfers, cash. Additional Info: Unencrypted source files. You have access to the source and you can modify the software files in order to add new features and customize the design and functionality. Additional Info: Encrypted source files. You cannot change the source and make your own modifications to the script.